Upper Pines Campground, located within beautiful Yosemite National Park, is the perfect destination for visitors who want to camp inside the park and be close to all the marvelous sights. Book Online. Upper Pines Campground in Yosemite is an excellent camping location, with a comfortable elevation, the Merced River flowing by and plenty to see and do nearby. Great for families! Each site comes complete with the standard picnic table and fire pit, and with access to drinking water. Another advantage is that it’s open year-round, so you can come anytime. Upper Pines Campground Yosemite is reached by driving into Yosemite Valley to the end of Southside Drive, near Curry Village. Upper Pines Yosemite requires reservations from 15 March through November. From December to 15 March, sites are available on a first-come, first-served basis. Call 877-444-6777 or Book Online. 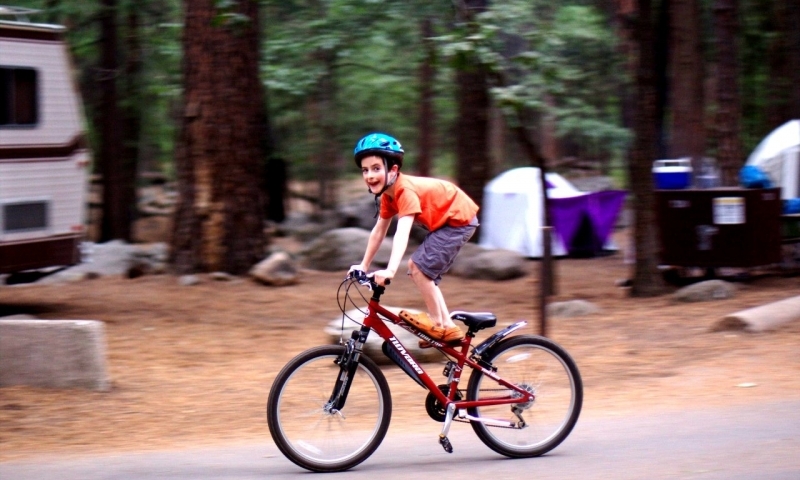 Yosemite Upper Pines Campground puts you in close proximity to many fun outdoor activities as well as some stupendous sights within the park. Bring your own raft or tube and go for a scenic float on the Merced River. You can also hire a guide for this activity. There are numerous hikes nearby. You can hike to beautiful Mirror Lake or to Sentinel Dome and Taft Point. The longest hike of about 19 miles in length is the Half Dome Hike. One great way to get around from this campground is to bring your bike and travel to the different villages. You can rent a bike, too, if you haven’t brought your own.